All Hands Fire Training has announced a new program that is scheduled to be delivered starting in September – Fire Officer Development training. 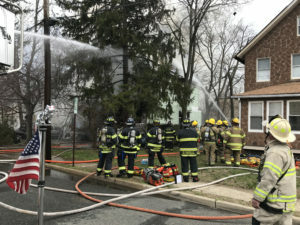 “For years we have been asked to put together an Officer’s Training Program, given our roster of diverse and experienced instructors”, said Donald Colarusso, President of All Hands Fire. “A great deal of work has gone into this program in order to deliver a very unique officers class”. Each unique session will be delivered in a multimedia format, with each instructor challenging and encouraging students interaction. The class is limited to 25 students, so register early! As an added bonus, the class will include fire officer promotional content.